Recently, we have seen too much of leaks and rumors about the upcoming iPhone from Apple and surprisingly there's also leaks strongly suggests that "Apple will release an Smartwatch" probably it will be called iWatch. 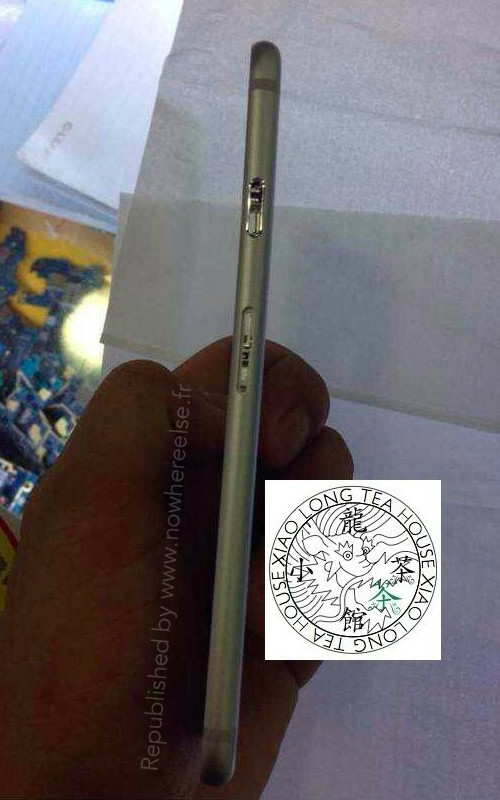 Most interesting things about the upcoming iPhone is that it's rumored to be slimmer and have a larger display than the usual 3.5 inches. 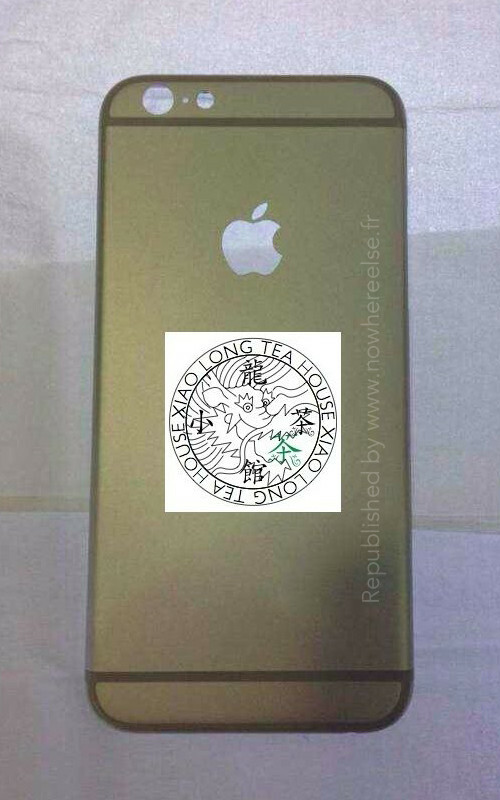 As the WWDC event gets closer, rumors and leaks keeps coming. 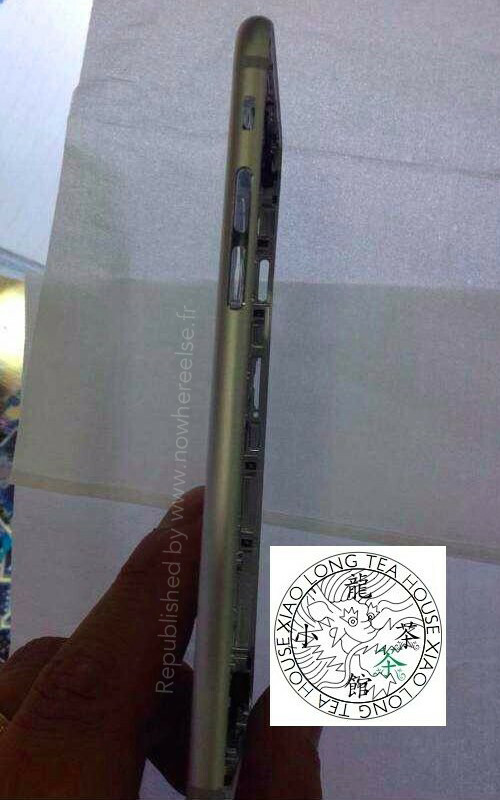 However, these quad images came in from China and these images confirms that iPhone 6 will be slimmer than ever before and panels are expected to be made of metal or aluminium. 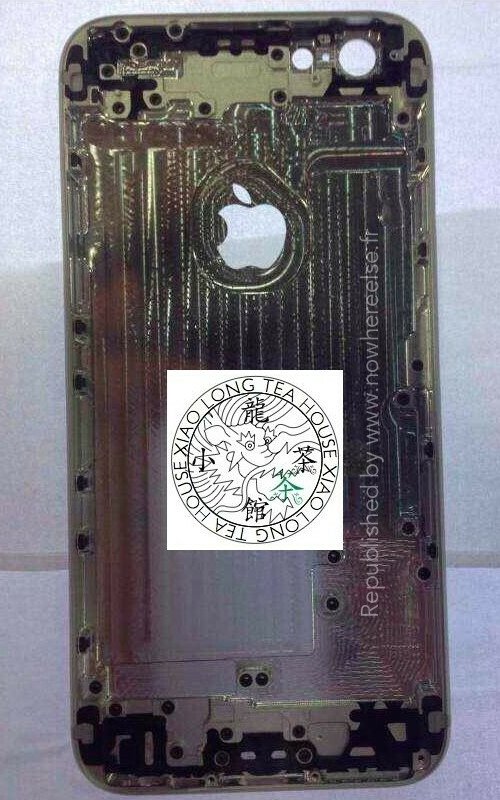 These images shows iPhone 6 to have a 4.7 inch larger display but with cut-out Apple logo. From the left side, it has volume buttons and a standard mute button and on the right side it has Power On/off button and a SIM card tray. As far as we know, these images perfectly align with the previous leaks going on around the internet and making it a strong confirmation that indeed Apple will be introducing a larger and slimmer iPhone this year at it's WWDC conference.